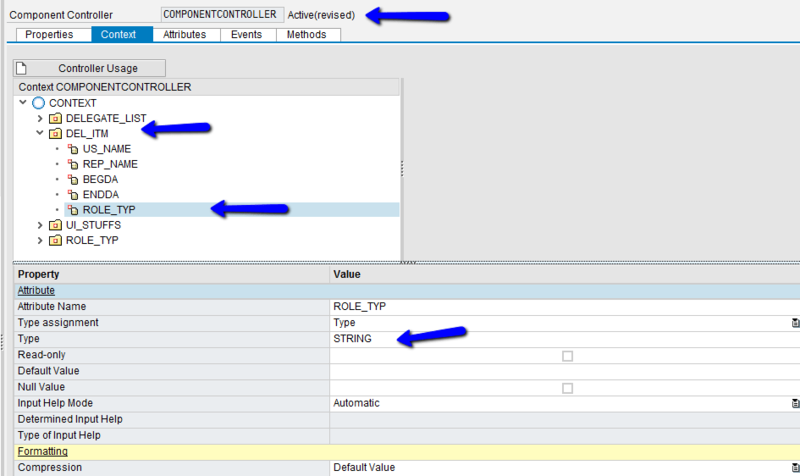 I want to populate Radio Button Text programmatically in WebDynpro ABAP instead of binding Domain. 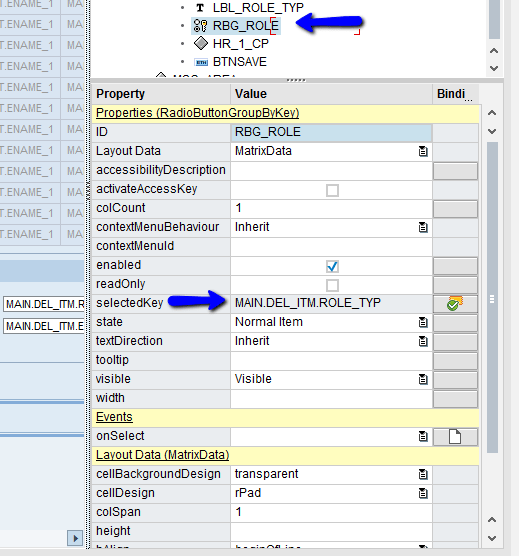 I have a Context Element DEL_ITM in Component Controller i want to store the value in ROLE_TYP in DEL_ITM. ls_value-value = 'PO/PR Related Roles'. lo_nd_del_itm = wd_context->get_child_node( name = wd_this->wdctx_del_itm ). lr_node_info->set_attribute_value_set( name = 'ROLE_TYP' value_set = lt_value_set ).